803 SHARA BASIC | LATIK S.r.l. Washbasin in AISI 304 stainless steel powered model - Basic version, easy installation. 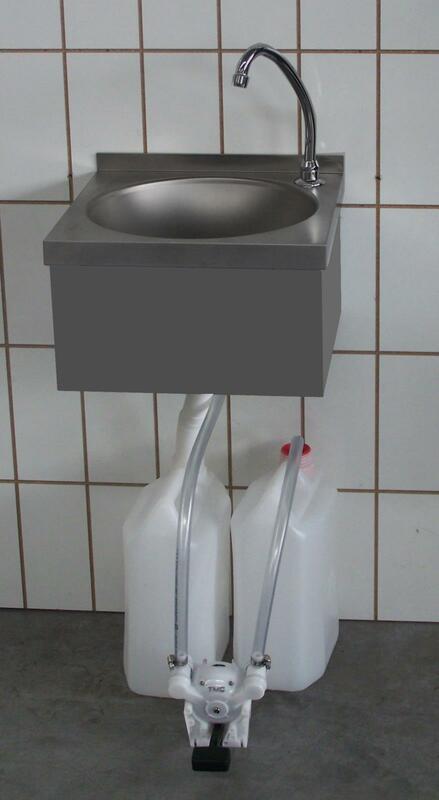 It is a hand-washing station in places without water supply. Model 40x40 cm, wall-fixed position your hand cleaning in tight spaces occupying minimum space.